Wow, I cannot believe it is already August! This is summer is going by extremely quickly. I just had the opportunity to go on vacation, or “holiday”, to Europe with my family. It was a trip of a lifetime and it was the most amazing experience. European style is unique. Since I was in Paris and London, I was able to see the latest trends of street style in the two fashion capitals of the world. Here are some outfits for the last month of summer inspired by European styles. Velcro sneakers made an appearance many times in the cities. Stan Smith sneakers are pictured above but many other brands make these as well, such as Superga, Vans, Puma, etc. You can pear these shoes with almost anything! Since my family and I went out to dinner almost every night in these cities, it was amazing to see how people value their appearance. Almost every woman was wearing a dress and heels or a skirt, nice top and heels. Men were always wearing a suit, tie and nice shoes. SOHO was filled with every style you could imagine. 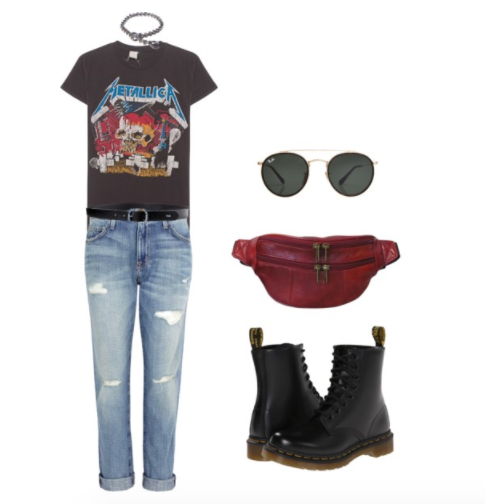 This was one of the more popular styles, vintage & grunge. If you do not own a leather jacket, you must purchase one. It is a staple for every season. Since the weather was chilly in London, many people were wearing leather jackets with their summer outfit. While walking around the cities, people want to be comfortable. 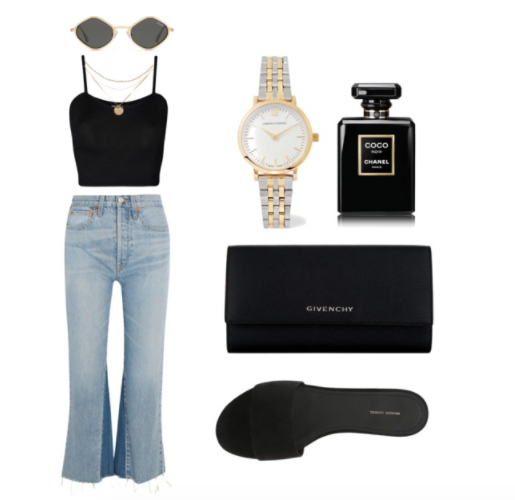 Here is an outfit that is simple and easy to put together. I hope you enjoy the rest of the month and are prepared for fall fashion soon!